The DP730 is a DECT cordless IP phone that allows users to mobilize their VoIP network throughout any business, warehouse, retail store and residential environment. 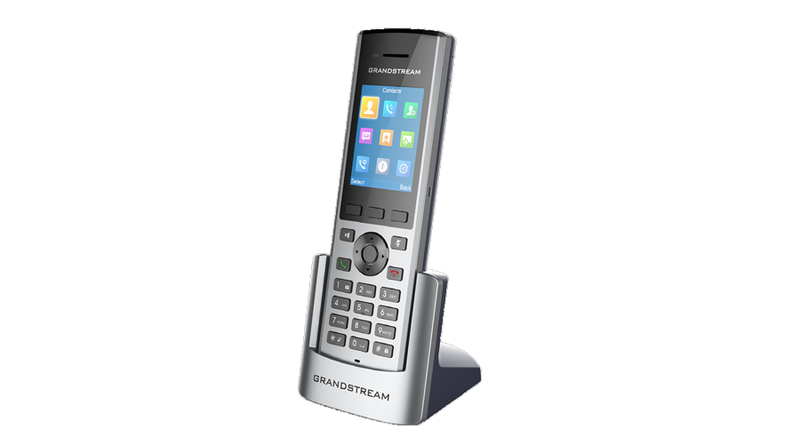 It is supported by Grandstream’s DP750 and DP752 DECT VoIP base stations and delivers a combination of mobility and top-notch telephony performance. Up to five DP730 handsets are supported on each base station while each DP730 supports a range of up to 400 meters outdoors (with DP752) and 50 meters indoors with 40 hours of talk time and 500-hour standby time.